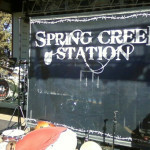 Band scrims are affordable stage banners for small and up-and-coming bands. These stage banners, while smaller than large stage backdrops, can make a big difference on stage. The size of the stage scrim depends on how much space you have on stage, and how large you want your banners to be. 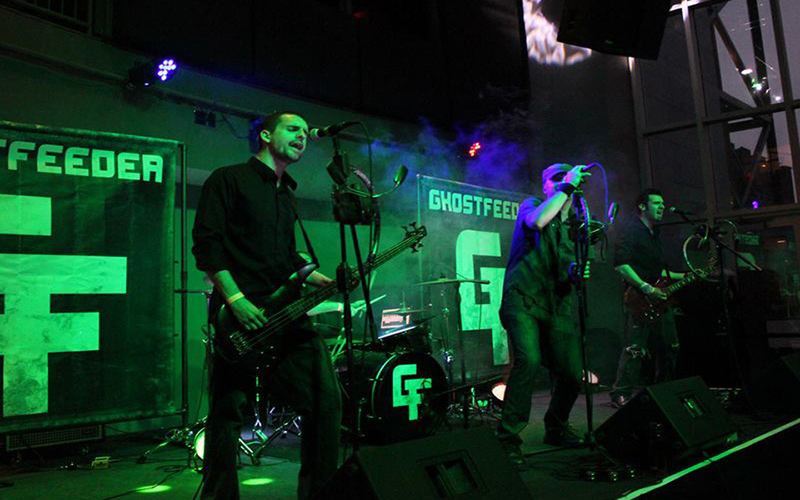 It is often helpful to make a list of size venues your band plays at before you buy your band scrims. Stages come in all sorts of sizes, so it’s critical that you to know the dimensions of the stages where you will be playing before you move forward with sizes. 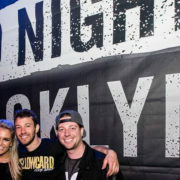 We have experience with band banners at hundreds of venues across the US, and we can help you find the right size banner. For bands on a budget, band scrims are ideal since they are considerably cheaper than large band backdrops – and they can make a big impact even at large, outdoor festivals. 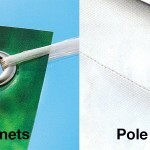 For band scrim materials, we find vinyl mesh to be the most appropriate material. It is a 70/30 weave, which means that you can use these banners as an amp scrim: you can place them right in front of your speakers. Finding the right size is key for any stage banner, but for band scrims, a set of two 6’x6′ vinyl mesh scrims (or stage mesh) are ideal. We have printed this size for many brand new, small bands who have small shows, and it works beautifully in small clubs and bars. We can print scrims at any size – contact us for prices of ANY size band scrims. We provide high grade finishings on all our stage scrims. Generally, we finish our band scrims with both grommets on all sides and 2.5″ pole pockets on the top and bottom – both at no extra cost – so your band has the option of hanging the banner with a cord, or using a stage stand. Of course, we have other finishings as well, and we can add whichever finishings you need.